Like most Louisianians, Dr. James Peltier loves cheering on the Fighting Tigers at LSU football games. Peltier has been able to experience Death Valley for the past 77 years, starting when his father took him to a game at age 5. “I just enjoy the LSU experience,” he said. Peltier joined the LSU Foundation Board of Directors in 1987 and was president of the Board from 1995-96. “It’s my way of paying back because I love LSU so much,” he said. In those 26 years, Peltier said he has most enjoyed getting to know his fellow board members and hearing LSU’s quarterly reports when the LSU president comes to board meetings. Dr. James R. Peltier is a 1950 graduate of the College of Humanities & Social Sciences. In 2008, LSU awarded him an Honorary Doctor of Humane Letters, recognizing him as the only person to have served on the LSU Board of Supervisors and the boards of the LSU Foundation and LSU Alumni Association. 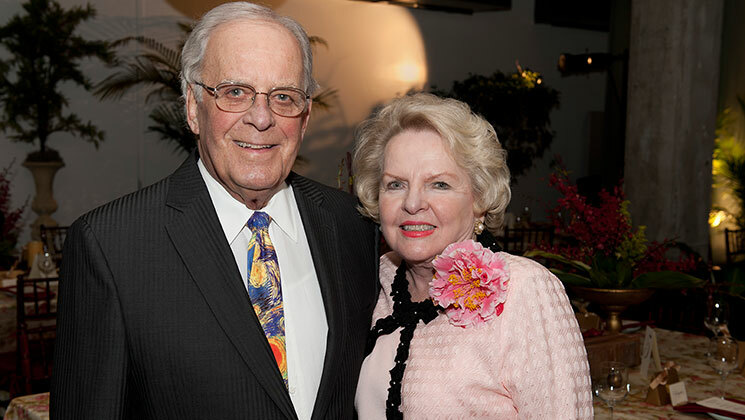 He and Ann are actively involved in the colleges of Science and Agriculture, the 1860 Society, LSU Libraries, Tiger Athletic Foundation, and several other campus organizations.